On average, people receive 150 emails per day. Which means as an email marketer, you are competing with 150 other emails – why should they open yours? Here’s an interesting thought: As a brand, if you think you are competing against other brands, you have missed it. You are not competing against other brands or your “traditional competitors,” you are competing with other things in my inbox that matter to me. So, what does that mean? It means email marketers have to do their jobs very well. So, how do you make your emails compelling enough to get someone to open it? Make it personal. We focus too much on trying to have a large quantity of people interacting with our brand instead of having quality people interacting with our brands. Organizations always want more followers, more readers, more click-throughs, more opens; but instead of having a ton of people receiving your message and not do anything with it, wouldn’t you rather have a handful of people consistently interacting with you? Cater your emails to your subscribers and treat them like personal friends and not an “email list.” Ask the right questions and segment your subscriber lists to be able to cater your emails to each particular segment based on what interests them. 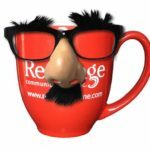 Find out how often they like to receive emails, and if there is a certain piece of your organization that pertains to them. Little things, like knowing if they like their coffee black or with cream? It is about , show people that you know them and value your relationship with them. Humans have a gut reaction in 3 seconds or less. Three. That is a short amount of time to make a big impression. In fact, in 2012, the adult attention span dropped to 8 seconds, which moved us below the attention span of a goldfish, yes, a goldfish. This means you have to get your message across quickly and eighty percent of people are only scanning email, so make your emails “scannable.” Here are a few suggestions. Think big: Capture the main idea of your email with a bold image and strong headline so your reader can’t miss it. Think visual: The human brain processes images 60,000 times faster than text. So think about using visual elements to capture your audience. Think catchy: 28 characters is the subject line sweet spot and iPhone cuts off subject lines at 32 characters, so think short and memorable. It’s been stated that 58 percent of adults check their email first thing in the morning. I guess now would be a good time to admit that I am one of that 58 percent. I scan the emails I received overnight before I even get out of the bed. 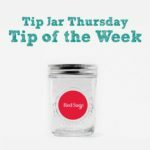 Try sending emails at different times of the day and see if your open rates change based on the timing. Based on the statistics, try sending a few emails early in the day to catch some of those early-morning email readers. Email is not only the number one activity on the internet; it is also the number one activity on mobile devices. Fifty-one percent of all email is opened on a mobile device. So what does that mean for you? You should be designing your emails for the smallest screen size first and then use responsive design templates to ensure your emails look great on any screen size. One thing to note: the human fingertip is around 46 pixels squared, so make sure your buttons are comparable in size to make tapping easy for mobile readers. We have all be there. You subscribe to a brand’s email list in hopes of getting coupons, updated news, and privy information, but after about two weeks of getting daily emails, you unsubscribe. Receiving too many emails is the #1 reason people unsubscribe, so think about how often you are sending emails to your subscribers and ask yourself, “If I received another email, would I want to unsubscribe from this brand?” Create an email calendar for each segmented list to make sure you aren’t over sending to one particular list. You don’t want to be that brand. 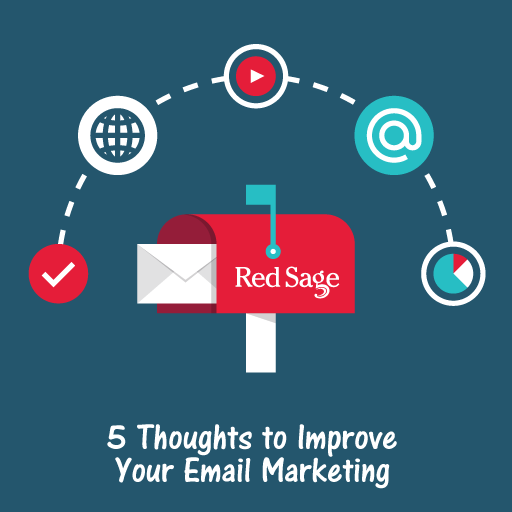 Email marketing can be overwhelming, having Red Sage help you with email marketing is not. Give us a call today and let us know how we can help you improve your email marketing strategy.